"This cape is provided from an in-stock selection provided by Winter Fur as this a "made-to-order" cape. Prior to shipping this cape to you, we will inspect the cape for quality purposes. Please, allow an additional 7-9 business days in order to receive your cape." This elegant and luxurious Mink Fur cape is for the ladies who want to look upscale and elevate themselves above the ordinary. This cape is flawless in every way. It features pull-up zipper, and insulated interior.This cape creates a very upscale urban look. This cape offers excellent quality and construction. This cape is only for the luxury-minded woman that demands only the best and wants more! If you are a luxury-minded woman that demands only the best and wants more, then this is the cape for you! 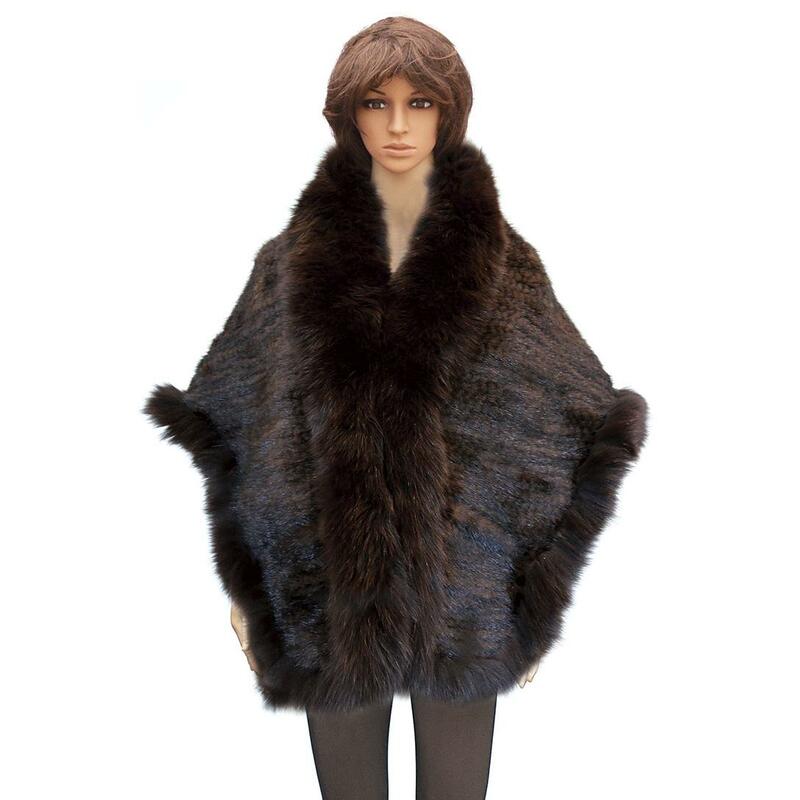 This elegant, luxurious, hand-made mink fur cape is guaranteed to be a traffic stopper! This cape is fully insulated and lined. The mink fur pelts are extremely soft and supple. This cape is for people who want to be above the ordinary with a touch of class without putting a dent in their pocket. This cape can be dressed up (worn with a nice suit) or down (worn with a pair of jeans and casual shirt) and is perfect for church, business or even a casual dinner party. This mink fur bomber cape is guaranteed to keep you warm and above the ordinary!